"...E.C. Large, a writer, engineer and investigator who skillfully turned a book saturated with professional terms and Latin names into a literary pearl." "By 1940, the field had matured from its beginnings as an offshoot of applied mycology and botany in the nineteenth century into a separate scientific discipline standing on its own merits (Campbell et al., 1999). Along the way, as Large so aptly describes, plant pathologists uncovered many of the basic secrets of our most destructive plant pathogens and achieved numerous successes in the control of the diseases they cause. Presumably many readers of The Advance of the Fungi learned for the first time about economically important and devastating plant diseases and the discipline dedicated to fighting them that had emerged in the mid-1800s, side-by-side with Pasteur’s germ theory. Reviewers were overwhelmingly positive and praised the author’s lucid writing style that "grips the reader’s interest from the first page" (Lagage, 1941). Reviewers particularly commented on Large’s skill in making a technical subject accessible to both the practicing plant pathologist and the general reader. A reviewer in The Economic History Review lauded Large’s "ability… to blend accurate and careful research with a felicitous style," and singled it out as "a rare possession" (Fussell, 1941). Readers were encouraged to read the book to learn how plant diseases like potato late blight, stem rust, coffee rust, and fire blight, among others, had impacted their lives. One reviewer insisted, "This book should be read by everyone who is interested in the profound effects of parasitic organisms on human civilization all over the world" (Lagage, 1941). The Lead of the U.S.A.
"Upon discussing my thoughts of The Advance of the Fungi at the most recent MSA/NAMA meetings in Asheville, I found out that a number of colleagues read this work quite a long time ago. Many were students at the time and felt this book had, in part, contributed to their eventual pursuit of a career in mycology or plant pathology. I would have to say that, although I had not heard of this book until I was sent a copy, I, too, would have been drawn to the field...the author gives absorbing and detailed, though never boring, and frequently humorous accounts of the events leading to the discoveries of fungi as pathogens..."
"The Advance of the Fungi was required reading for me as an undergraduate with the mycologist C.T. Ingold at Birkbeck College, University of London. In the early 50s "EC" worked at the Path Lab in Harpenden for the National Agricultural Advisory Service. I met him at a joint meeting of the British Mycological Society and the Genetical Society where I had given an account of some work on the control of mating type in Coprinus cinereus I had begun at the John Innes Institute. He found the life cycle diagram I projected of interest and in later correspondence reproduced it to show its similarity with a part of the medieval "Mappa Mundi" in Hereford cathedral. Large also told me about his book for children Dawn in Andromeda, which I bought and read to my own children with interest. For me the Advance of the Fungi confirmed the importance and fascination of these organisms. It was also one of the first science books that I read that I could not put down. How I wish others would emulate his style." "Early in my career, I found this book to be the most inspirational and informative of the ‘popular’ books in plant pathology. Later, I came to appreciate E. C. Large for his significant accomplishment in epidemiological research. 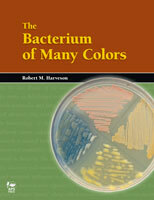 This is a book that can help explain plant pathology to the general populace. Congratulations on reprinting it." 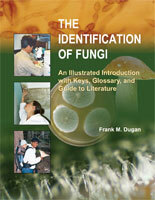 "You will never find another book about plant diseases as well written as Large's Advance of the Fungi. Reading the book is like an adventure in time travel. It takes you back into the minds of the early mycologists, showing you what they knew and didn't know as they struggled to understand fungi and their place in nature. It gives remarkable insights into the political climate in which those early scientists worked and how it affected their research as well as into the impact that plant diseases had on politics of those times. The book is written with rare style that is both scholarly and witty. Some of the descriptions of errant attempts at science seem unsettlingly close to current events." "Every plant pathologist, biologist and microbiologist should have two copies of this classic account of the early days of plant pathology and microbiology - one for themselves and one to lend to students." 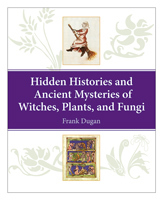 "Advance of the Fungi provides great stories on the early beginnings of plant pathology and mycology. I used portions of them to stimulate student interest in my introductory plant pathology class." 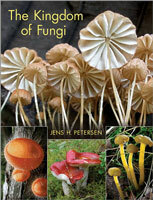 "The re-issue of E. C. Large's classic, The Advance of the Fungi, by APS PRESS is welcome news for plant scientists worldwide. This remarkable book is as fresh and interesting today as it was in 1940 when it was first published. The book is much more than a series of exciting narratives of destructive plant disease epidemics that resulted in widespread famine and great hardships for millions in the past. Large points out that the political and social changes that resulted from these epidemics had more lasting and important effects. I am certain that upon reading this book for the first time many aspiring young scientists will feel, as I did so many years ago, that plant pathology offers opportunities for an exciting, interesting career. Congratulations to APS PRESS for taking on this re-issue; it will pay high dividends in the future."